Welcome to another edition of new Japanese learning resources! Sorry we're late, folks. It's summertime, you know? But it's raining again here at Tofugu HQ, so let's get back to studying with six new Japanese resources from August 2018. The third installment of Sleepy Duck's Learn Japanese to Survive! games, titled Kanji Combat, was released in August. Following a similar format to the previous two games, you learn Japanese kanji through an RPG (role-playing game). In Normal Mode, all kanji are taught using English readings instead of hiragana. The game itself combines elements of typical JRPGs and visual novels. You, as the protagonist, enter a contest to win a three-month trip to Japan, on the contingency that you study Japanese while you're there with a teacher chosen by the organizers. Once you get through some fully voice-acted exposition, meeting the other winners and your teacher, and a couple weird things happen, you get to the kanji learning part. In order to defeat (and learn) the kanji, you need to defeat it by saying its name (reading). Once you've learned some kanji, you practice your new knowledge by approaching wild kanji and choosing the correct readings to defeat them via multiple choice. Kanji are taught in short lessons. Each one provides the stroke order, number of strokes, English meaning, a little image/picture example, and the kun'yomi and on'yomi readings. There is also pronunciation audio you can listen to for each reading. Unfortunately, there are some issues with the game. A few I noticed immediately were things like strange explanations—calling on'yomi readings "sound readings," for example. Many of the explanations have been severely "dumbed down," so to speak, for the purpose of easing new learners into the language. At the same time, it presents quite a bit of information with each kanji it teaches. Multiple possible kun'yomi and on'yomi readings are lumped together and taught all at once, which can be overwhelming. If you're coming into this game with a lot of prior knowledge, this may be below where you're at. On the other hand, beginners may find the deluge of information frustrating. The entire game (at the time of publishing this article) covers 200 kanji. And, if you'd like to get all three games—Hiragana Battle, Katakana War, and Kanji Combat—they're available in a bundle. 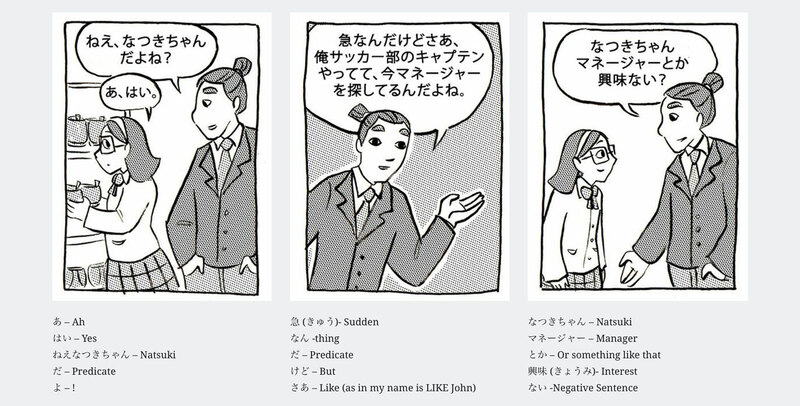 This set of short, educational comics was created by Manga Sensei, a small team who has been creating Japanese language learning tools through their blog, like grammar lessons and a podcast. While all of the panels and situations covered in the comic so far are quite simple, the Japanese itself isn't dumbed down like in a lot of other beginner resources and textbooks. This new comic continues their focus on bite-sized, easy-to-manage chunks of new information for Japanese learners. Each entry has a specific focus, usually a piece of grammar. Then, each panel provides a breakdown of each word and an English translation. While it doesn't go too deep into the grammar itself, more information can be found in their 30 Day Challenge. While each panel provides parsed explanations, there are no full translations of the content. You get to try to understand the content on your own. Particles are marked with a single asterisk (*), while common contractions are marked with double asterisks (**). While all of the panels and situations covered in the comic so far are quite simple, the Japanese itself isn't dumbed down like in a lot of other beginner resources and textbooks. It's more natural, everyday Japanese, which can be hard to find in material aimed at lower-level learners. The comic is still very new, so there aren't many entries so far, but they're aiming to update once a week, so hopefully it will grow into a very useful reading tool for beginners. 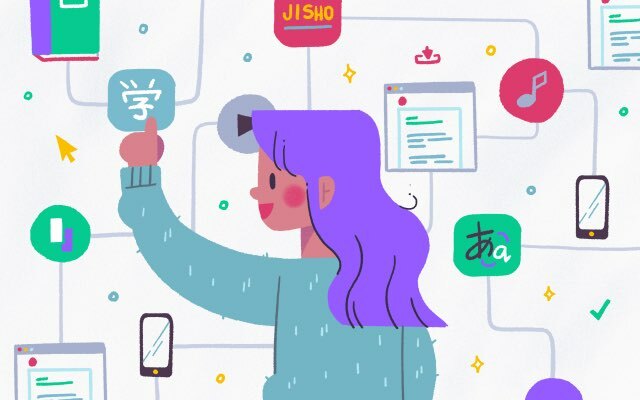 LinguaBrowse is a web browser made for language learners, and while the iOS version has had Japanese support for over a year now, the Mac OS version finally does, too. Using this browser to go to your favorite Japanese sites, or maybe just to lose yourself on Wikipedia for an hour or two, you will be able to click on any word and pull up a dictionary instantly. Similar to the Rikai extensions, LinguaBrowse is able to show dictionary entries for words that are not in dictionary form (conjugations, slang, abbreviations, etc). And you can choose what language you want your dictionary to be in. For beginners, there's the English-Japanese Jisho.org. But for more advanced students, who have graduated to Japanese-Japanese dictionaries, that's possible, too. The app supports thirty languages total, so even if your native language isn't English, you (hopefully) won't be left out. You can also choose to display furigana, what they call "transcriptions," on all content, or turn the feature off. There's also an option to break down your search selections—maybe you don't want to look up an entire word. For example, when selecting the word 講談社, you can choose to look up 「講談社」,「講談」, or 「社」. Helping you see that, yes, this is the name of the company Kodansha, but also that kodan is a term for a story about war heroes, and that sha can be used for a company or a Shinto shrine. 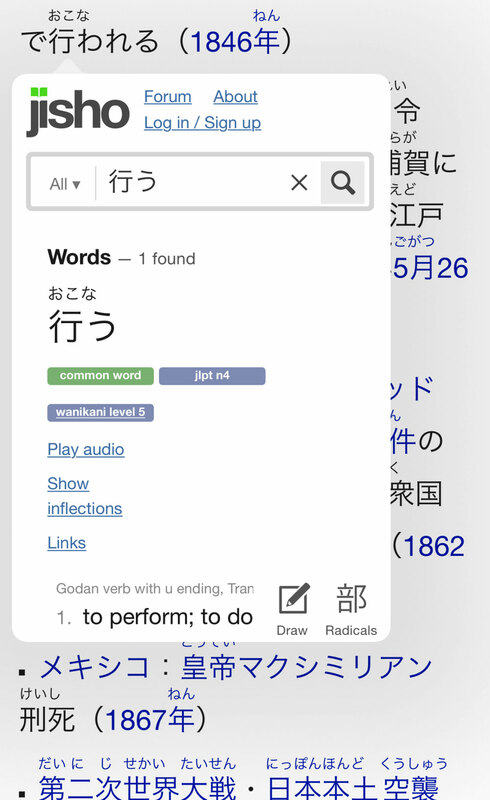 When pairing the browser with Jisho, you can also immediately see a word's JLPT level and WaniKani level, which we, of course, are very much here for. This beautiful bilingual book by artist Mateusz Urbanowicz was recommended to us by @hidden_tweet on Twitter, so a big thank you to them! This gorgeous collection of Tokyo storefronts would be worth a buy even without the Japanese language benefits, but that's not what you're here for, is it? The entire book is bilingual. 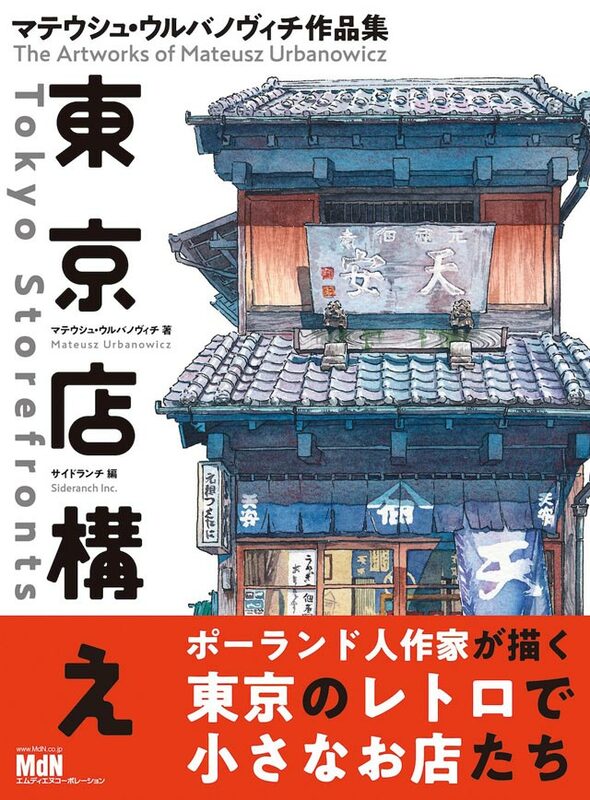 Illustrations of storefronts are accompanied by Japanese and English descriptions. Sometimes there are facts about the history of the place, the owners, the architecture, or just what makes it so visually appealing. A few small details about each place are featured as well. The side-by-side Japanese-English is great for studying. While there is no furigana or accompanying dictionary, there is an English translation right there. You can use it to parse out anything you don't quite understand. Each chunk of text is about an image, so you also have a visual aspect to help. And, most charming of all, each place is real and in Tokyo. If you're planning a trip, or if you already live nearby, you can use this book to learn a thing or two about the cute little shop on the corner you were too afraid to go into (until now). This super lightweight site helps studying kanji go faster. Just enter the English meaning for the kanji presented. If it turns green and shows all of the meanings, you got it right! If nothing happens, try again. 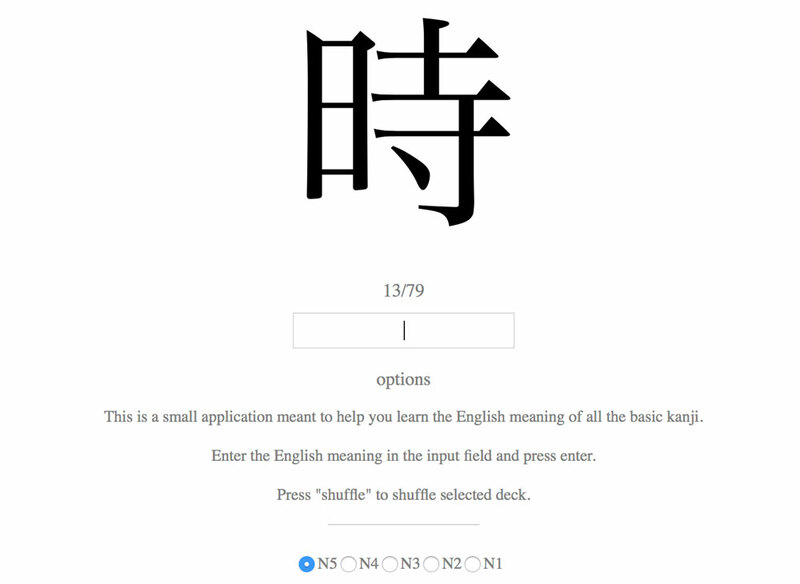 You can choose five different decks which are based on the JLPT levels, randomize the decks so you aren't just memorizing the order, and change the font between the three most common. That's it! The site's creator made it for personal use, but if anyone wants to do some last-minute cramming before the JLPT, it's super fast with no signup required. You didn't think you'd get away before I pushed Terrace House on you yet again, did you? This happened at the very beginning of the month so you probably already know, but season three of Opening New Doors dropped, and it was lovely. This is your monthly reminder that listening to real, non-scripted people talk is the best listening practice in the world. 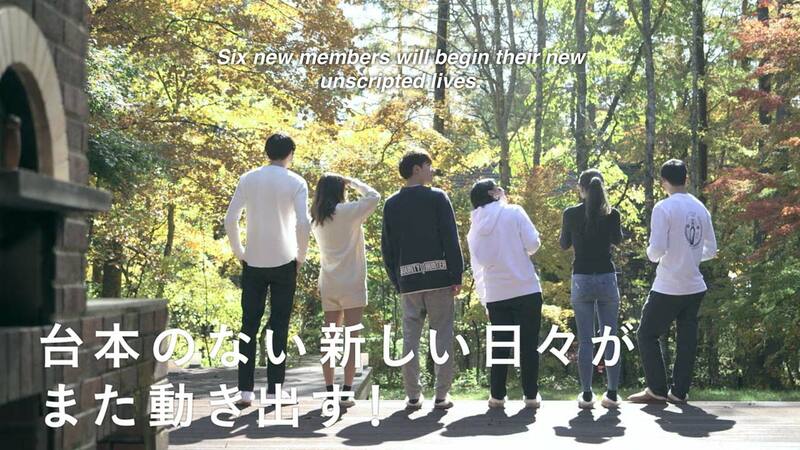 Even if it is a bunch of young, shy, extremely charming twenty-to-thirty-somethings in Karuizawa.